A daily journal, thots and rambling of a wannabe biker..
Its finally done. My move to the dark side is completed. Picked it up from the previous owner yesterday, got the necessary papers done and put on a new set of rubbers. How much did you got it for? 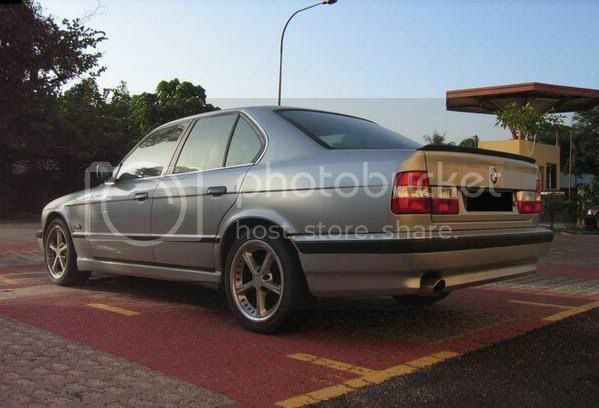 Judging from the exhaust layout, door handles and side mirrors, I'd say its a late model 520i, am I right? HI! DIDN'T C ANY PIC OF UR RIDE? I GUSS IT IS A CURISE? HOW MUCH U INTEND 2 SELL?WHICH BIKE U HAVE IN MIND? Any idea what's up with the snark? ooo looks like a nice ride!